Tear the Italian bread into small pieces and place in a bowl with the crab meat that has been picked over for shell. Add mayonnaise, Worcestershire sauce, 2 tablespoons of the beaten egg (hold remainder in reserve until cakes are formed.) and a pinch of salt. Mix together gently, so the lump crab meat does not get to broken up, until thoroughly mixed. Form into patties about 3 inches across and about an inch to and inch and a half thick. Heat butter in a non stick skillet over medium head. Dredge the crab cakes in a plate of flour just to coat lightly. Place in the hot butter and cook the crab cake until golden brown, about 4-6 minutes per side. Turn only once. Drain the crab cakes on absorbent paper towels. Serve hot with lemon wedges. Some also prefer tartar sauce with the crab. This dish was usually served in the summer on a weekday, after a Sunday morning of intense crabbing! We usually had a tomato sauce laced with loads of crab meat for the Sunday dinner. And then during the week had the remainder of the crab we had boiled on the Sunday we caught them. Crab Cakes were only one dish of a multitude of dishes we made the crab. However, it was also our most favorite dish for crab . . . besides steam crabs. 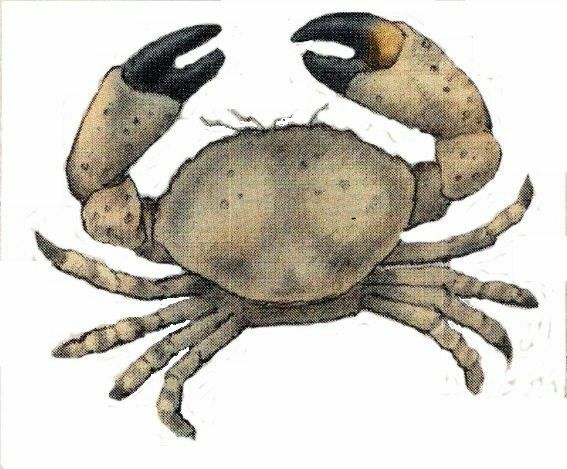 Whatever form the crab took, we ate it with relish, as we all loved crab. Mom usually made her French Fries as a side dish . . . not frozen, real fries!